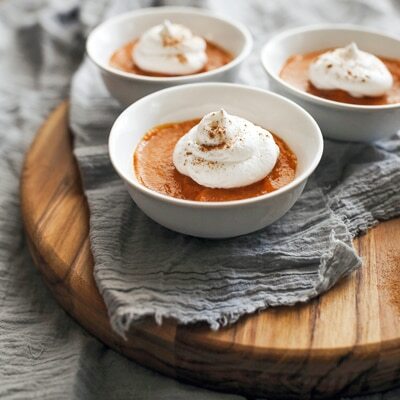 This quick pumpkin dessert is creamy, smooth and so satisfying! All that is needed is instant vanilla pudding and pie mix, Libby's 100% Pure Pumpkin, Carnation Evaporated Milk and pumpkin pie spice. BEAT pudding mix and evaporated milk according to package directions in large bowl; refrigerate for 5 minutes. Add pumpkin and pumpkin pie spice; mix well. Spoon into dessert dishes. Refrigerate for 10 minutes or until ready to serve. Top with whipped topping, if desired.